Cut crust off sliced bread and cut bread into quarters. Mix ricotta, crushed garlic, fresh dill, salt and pepper in bowl. 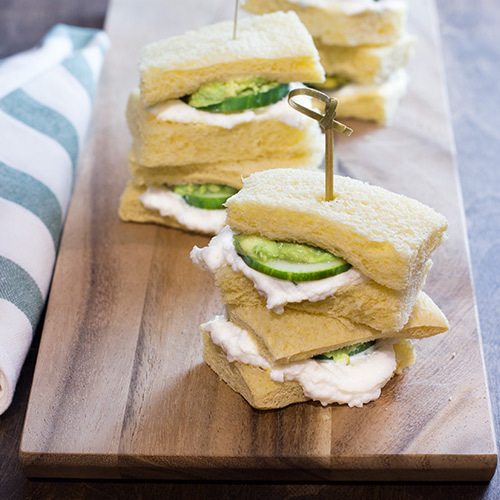 Generously spread cheese mixture on one half of quartered bread and add two slices of cucumber to each. Top with other sliced bread and secure each with a toothpick or bamboo skewer.